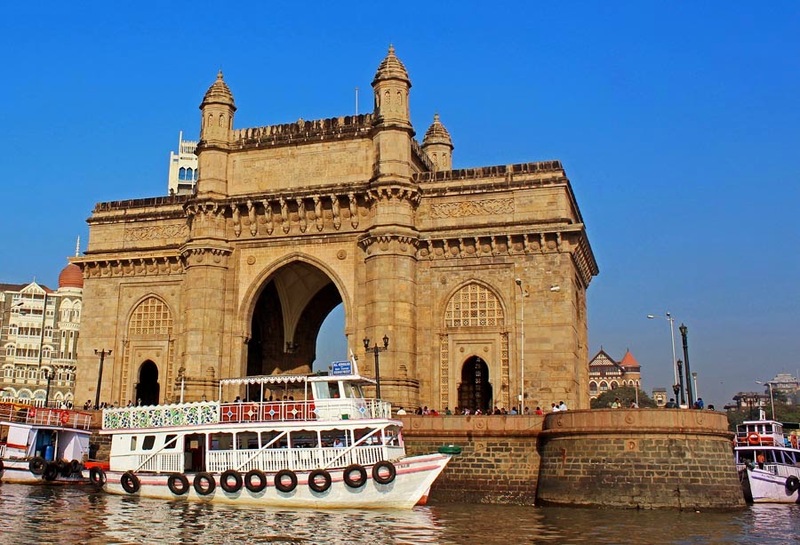 The Gateway of India is a monument built by the British Raj in Mumbai, Maharashtra, India. It is right opposite the Taj Mahal Hotel, and on the waterfront of the Arabian Sea in South Mumbai. It is built like an arch, and is 26 metres high. The Gateway was built erected to "commemorate the landing of their Majesties King George V and Queen Mary at Apollo Bunder when they visited India in 1911" It is built in the Indo-Saracenic style. The monument was completed in 1924. Here is a view of the Gateway of India taken from a boat. It's the view from the sea. A view of the Gateway of India from a little further down the sea. 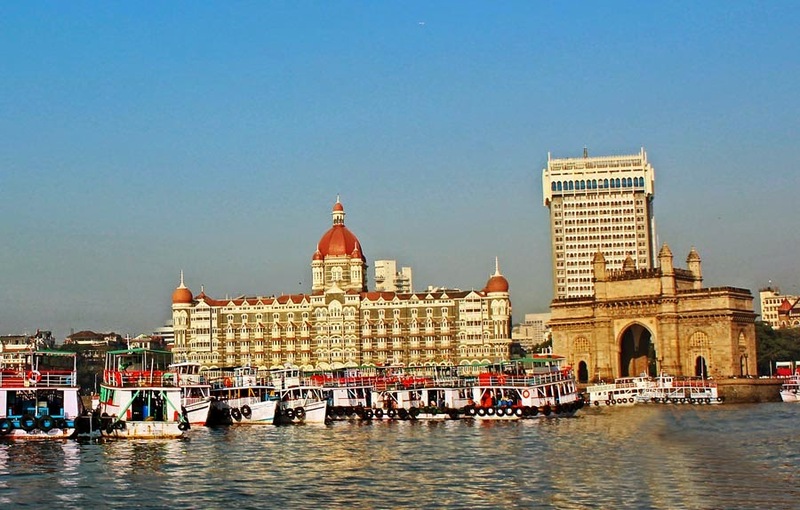 In this shot you can see the Taj Mahal Hotel as well which in fact dwarfs the Gateway of India. A row of tourist boats lined up in the area.